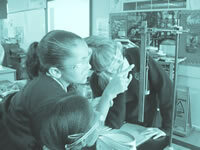 Welcome to you 'students of physics' - this page tells you how best to use this site! I hope that you will find this site useful. I have taught in an English public selective school for almost a quarter of a century, I hope my experience as a teacher can help you. The 'Exam preparation' menu choice on the top bar includes an 'exam skills' section that will take you to a selection of helpful articles on examination technique, revision tips etc. It is a useful section to look at if you want to improve your general skills. 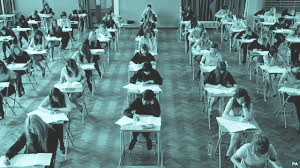 The 'UK Key Stages' choice in that menu takes you to the three secondary school 'key stages' and there are sections of example questions and their solutions to help you prepare for exams. Each stage has interactive syllabuses which link to background pages where relevant. The topic menu bar allows you to jump straight to a page of information on the topic you are interested in. You can also search within this site for a word that interests you. Just use the Google search facility at the top of the page. Type in a word like 'force' and a page of links within this site will be listed for you. The Contact section includes links to My YouTube Page. This hosts all of the animations I have uploaded; There is also a link that takes you to the Twitter page; and the Contact section also leads to an e-mail contact page. Wide Reading links you to science news stories - a useful resource for projects and for 'reading around the subject' - to impress interviewers at Uni! I have listed 'site jumps' that I think you will find useful when learning topics. Some of the subjects covered relate to the UK educational system - others will be useful to students from any country. I have also listed some 'site jumps' that I think you will find interesting. It is always a good idea to understand what the people who have written the syllabus think is important - that gives you a clue as to what they will think matters when the marks for exam questions are dished out! Take a look at the links. Some of the subjects covered relate to the UK educational system - others will be useful to students from any country. How to 'cite' my site in a project of report. If you come across broken links do tell me. The site is very big now, over 1500 pages - so sometimes glitches occur. I appreciate being told of problems - if no one tells me I cannot put them right!